Karl Stephens provides real, artisan bread to the local community using solely organic flours, water and Himalayan salt. We specialise in “real” traditionally made artisan sourdough breads. 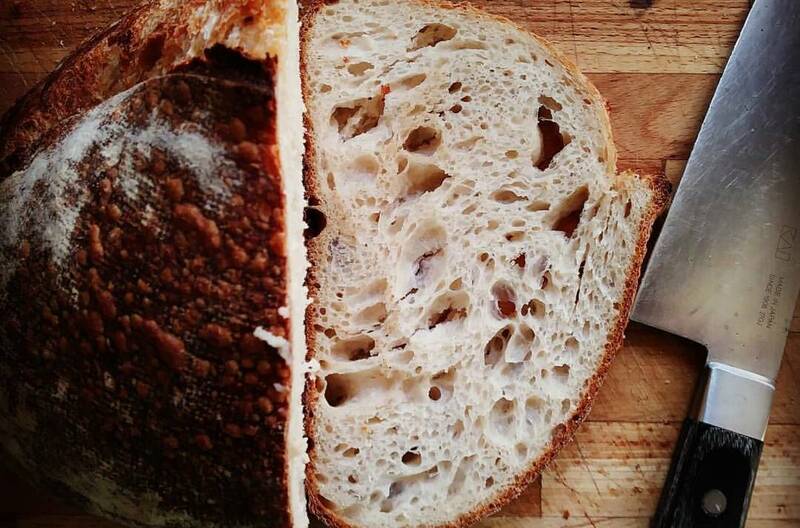 All of our breads are made with three simple ingredients Shipton mill organic flour, water and Himalayan salt, and are fermented for a minimum of 48 hours. These are produced from our own organic rye levain. Our enthuses is to produce the highest quality natural breads possible and each loaf is caringly hand made to order. Do you have contact detals for Real Bakehouse, County Armagh, N .Ireland. I’m in Belfast, and would like to know where I can obtain Karl Stephtens organic flour breads. Here you go Peter and I’ve updated his listing too. https://www.facebook.com/grainbakehouse/.